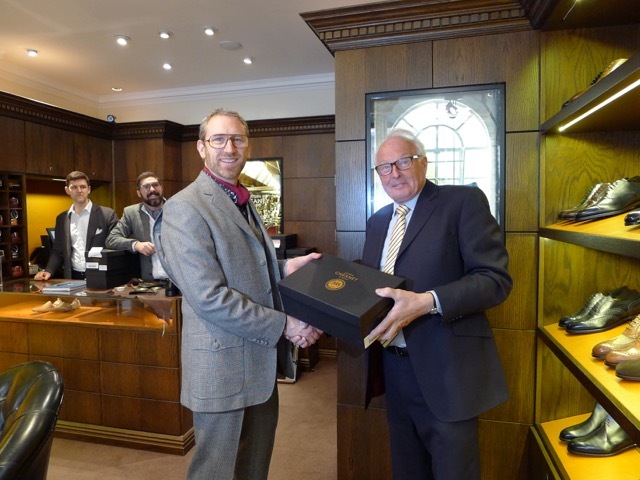 I am happy to announce that Joseph Cheaney and Sons are supporting The Suitable World, providing us with a bespoke boot and care kit for the journey. Joseph Cheaney and Sons is a heritage UK brand that embodies the quest to bring form and function together. For the project Cheaney has customised one of their oldest patterns, The Pennine. The Pennine uses a Veldtschoen construction - a rare stitching method that guarantees a waterproof boot while retaining its form against the hazards of weather and terrain. There are only a handful of manufacturers (and indeed only a handful of older machines in the UK) capable of making this type of boot. The grain leather of the shoe will hide wear. The commando sole unit will make it well-suited to hiking and rugged landscape. The burgundy colour of the boot picks up on the red of the Prince of Wales fabric while the elegant stitch at the toe-cap blends nicely with the style of the suit. Given the temperatures in Iceland Cheaney wanted to ensure a warm, but breathable shoe thus they have customised the Pennine by inserting a shearling lining. This is the only boot of its kind. The tagline of The Suitable World is “Seeking One Perfect Thing.” The project uses clothing as a lens to explore how we choose the objects that surround us. Rather than accumulating specialised goods with limited function we are looking for items that embody a perfect marriage of beauty, utility and durability. In this way these objects become worthy of our care and preservation. 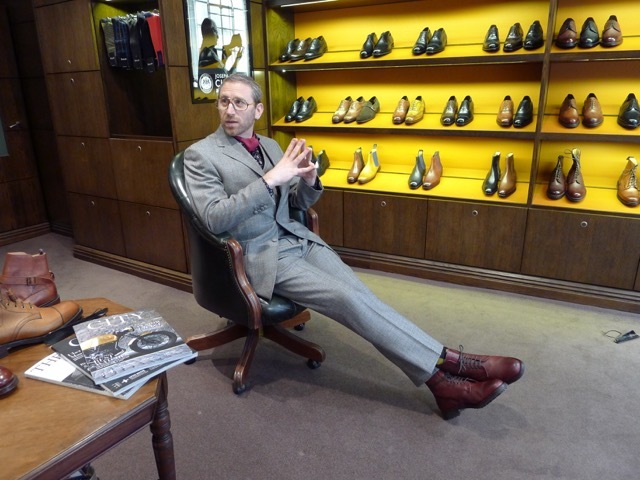 From the very beginning everyone at Cheaney has had great enthusiasm about the project, its aims and values. A huge thank you to Martin, Marc, Neil, Richard and Met. Art projects (like any idea) never go anywhere without the generosity, enthusiasm and support of others. I am most grateful.